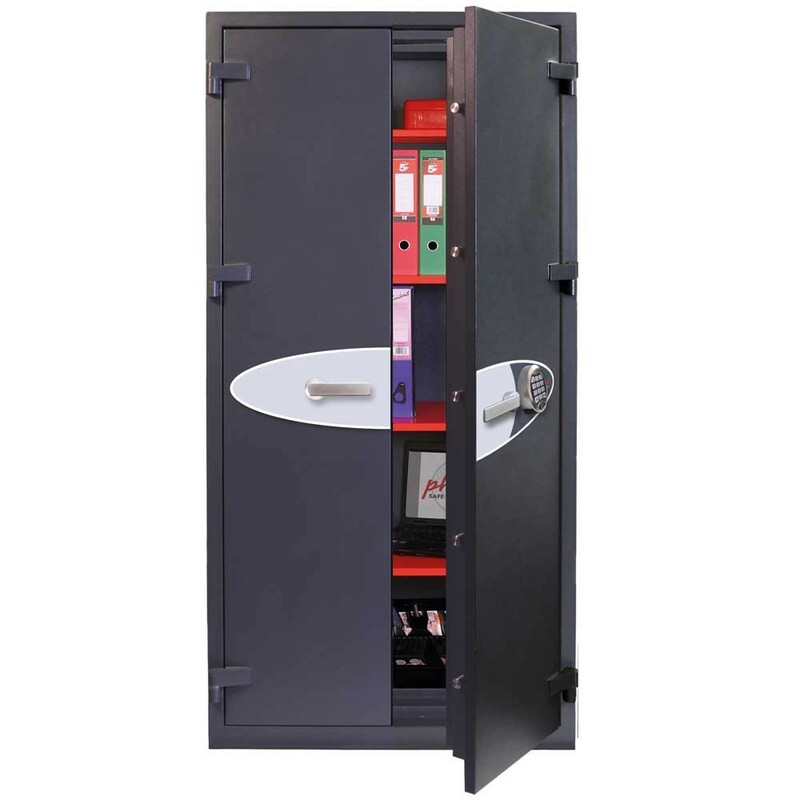 The Phoenix Venus 6 Safe Size 6 is a Grade 0 safe which offers security to cash and valuables in the home or business. It is tested to the European EN1143-1 Security standard ECB.S Certified Grade 0 protecting cash of £6,000 or valuables worth £60,000. Furthermore, it is fitted with a high security VDS class 2 (Safelogic) electronic lock and is Secured by Design. In addition to this, it is recommended by the police and approved by the Association of Insurance Surveyors. 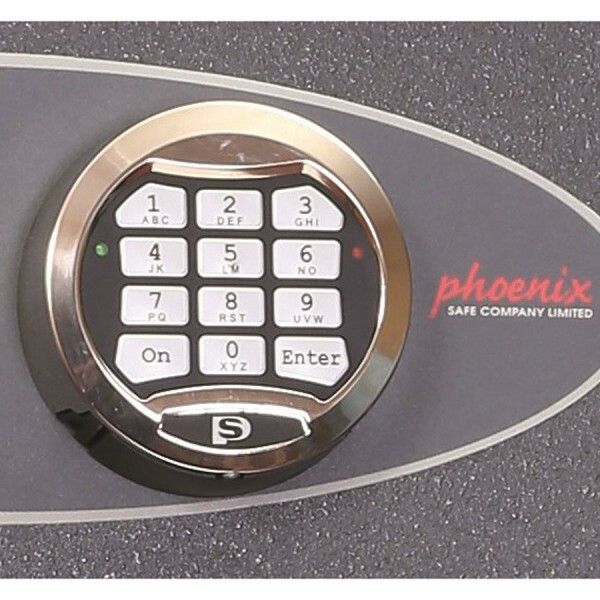 The Phoenix Venus 6 Safe Size 6 has double walls with profiled infil and anti-drill plates for maximum security and the door has has re-locker protection. Concrete fixing bolts are supplied for floor fixing.